This Outdoor Wooden Play Shop & Theatre is a shop on one side and a puppet theatre on the other, however the design allows it to be whatever children want it to be. 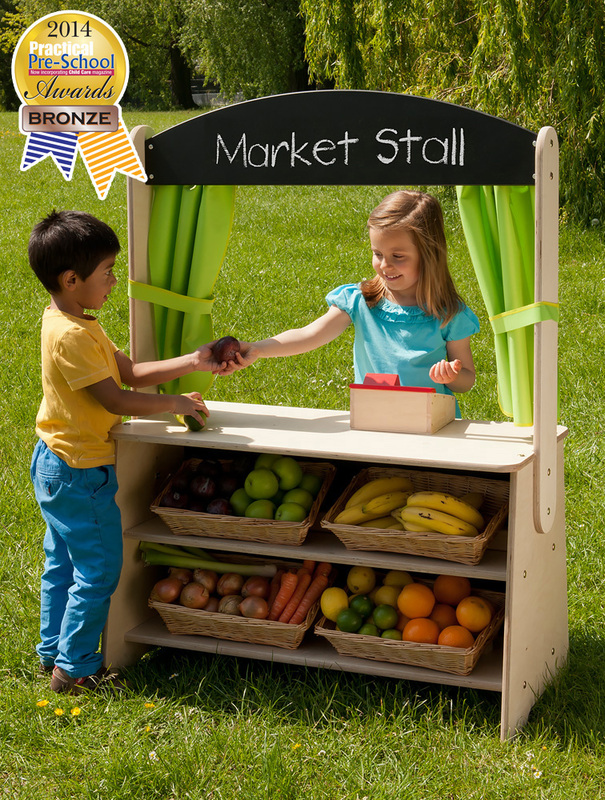 Featuring a double sided chalkboard header panel and a pair of outdoor waterproof curtains with integrated Velcro tie backs. The curtains can be easily removed for cleaning or completely removed if preferred. One side features two large lower shelves for storage and displays, the other side includes a large chalkboard panel. Manufactured from outdoor plywood with a weather resistant surface and tough exterior seal on the edges. Simple assembly is required using the supplied Allen key. This product is guaranteed for five years against structural failure caused by rot or insect attack. 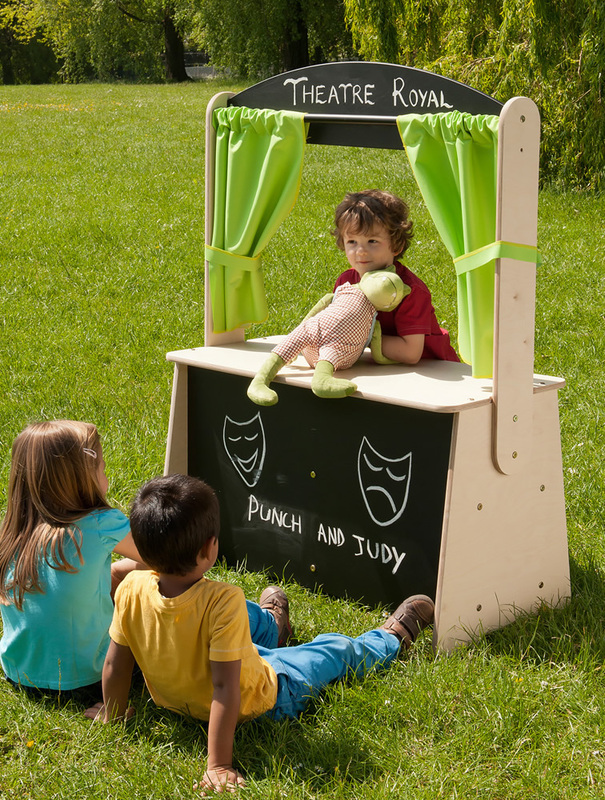 Please note: the toys and play equipment featured in the product images are not included with the outdoor all-in-one shop and theatre. Please Contact Us or alternatively call for more details on 01733 511121.